Where's the Best Jewellery Store in Perth? Most people like a nice piece of jewellery; some nice earrings, a good watch, a pretty necklace or a fancy bracelet. 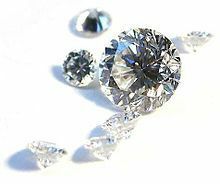 Everyone likes something different; some people like gold while others like silver, some like diamonds while others like rubies. 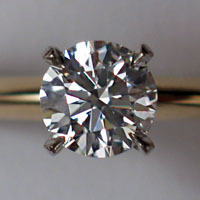 There are quite a few jewellery shops in Perth and the surrounding areas. Some sell very exquisite and expensive pieces of jewellery and some sell very good, reasonably priced jewellery. It's all a matter of choice, really, which one you will choose. Some people have an absolute favourite jewellery shop that they will always go to no matter what and some people are quite happy to shop around and go where ever the sales are. So where is the best jewellery shop in Perth? Shiels has been in business for over 32 years and has stores all over Australia. They sell gold and silver jewellery, not too expensive, and they have regular sales so you can often get a real bargain. Prouds first store was opened in Sydney in 1903 and since then they have opened over 195 stores nationwide to become the largest jewellery chain in Australia. Selling jewellery, watches and giftware they have a large selection of stock to choose from. Zamels has more than 50 years of experience in the jewellery business and stores located all over Australia. They have a large range and their jewellery is reasonably affordable. Michael Hill has over 240 jewellery stores throughout Australia, New Zealand, Canada and the USA. They sell some lovely jewellery at fairly reasonable prices. Mazzucchellis have specialised in stunning diamond jewellery and watches since 1903. Rosendorffs has been around for over 40 years and is regarded as one of Australia's premier jewellery stores specialising in diamonds and exquisite jewellery pieces. Linneys have been in business for over 40 years. They specialise in beautiful Broome Pearls, diamonds and Western Australian gold jewellery. If you are looking for that special piece of jewellery for yourself or as a gift you can shop around, spend the day wandering from place to place, and you are sure to find something to take your fancy. There are plenty of jewellery stores, all of them selling lovely jewellery but where's the best jewellery store in Perth? I have purchased a earrings from maniamania(http://www.themaniamania.com/shop/Earrings )last month. It have great collection of all type jewelry. This is the best jewelry store for me. Though they specialize in selling jewelry made from precious stones and metals, jewelers are a varied group of vendors. They can be artisans who make pieces by hand, or they may stock their inventories with products made from larger companies. Jewelry stores also offer services such as jewelry repair, and they can also sell items from estate sales. Consumers often have the choice to do business with privately-owned, local jewelry stores or national brands. Where to Find British Products in Perth?